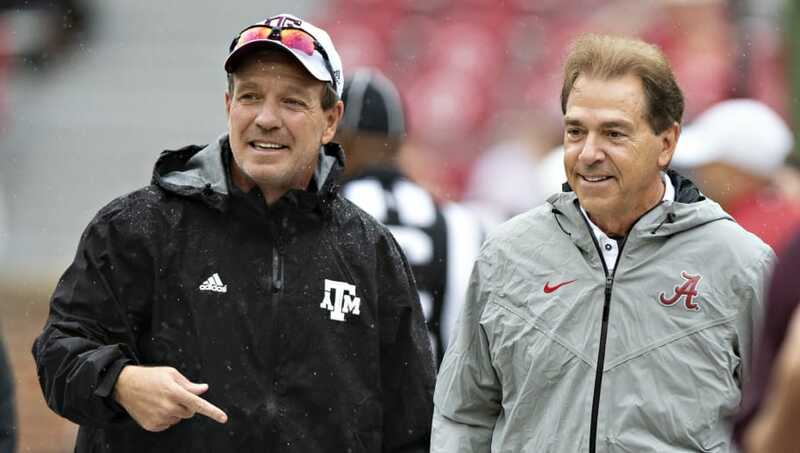 ​Jimbo Fisher is not happy with how his players are portrayed in the media. This is ironic, considering he spends a lot of his time with complete control over exactly how his players are presented to the media. After criticizing reporters' on this point, the ​highly-paid Texas A&M head coach was called out by someone whose career it is to cover his players. Fisher has made it a point throughout his career to limit the media's access to the young men he coaches. By doing this, he can't be surprised when their coverage of his players isn't exactly what he wants it to be. The tight-lipped facade he creates is responsible for the way his program and the people within it are represented or, in his opinion, misrepresented. Side note: Jimbo Fisher is one of the worst CFB coaches when it comes to limiting media access. Honestly, though, what else should fans expect from a guy who ​blatantly lied about an incident that was caught on camera? Clearly, Fisher isn't a big fan of the truth or anyone who can hold him accountable for his actions. It's sad to see a powerful head coach pick on the media for doing their job, especially when it's a job that he makes harder every day.